Enzymes are complex protein molecules that are responsible for accelerating chemical reactions in the living cell that essentially make life possible. Each unique enzyme is responsible for a particular chemical transformation. The sum total of all of these reactions is what is referred to as cellular metabolism. The primary structure of enzymes – the sequence of amino acids embedded with the protein structure – is encoded within the particular gene responsible for the production of each unique enzyme. It is of great interest to understand how such complex protein structures evolved from simpler structures that are known to have been available early in the evolution of life on planet earth – amino acids and peptide. In regard to proteins, the class of molecules that represent short pieces of protein is referred to as peptides. 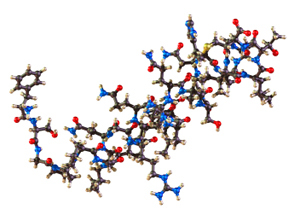 Peptides are short strands of amino acids tied together through peptide bonds. 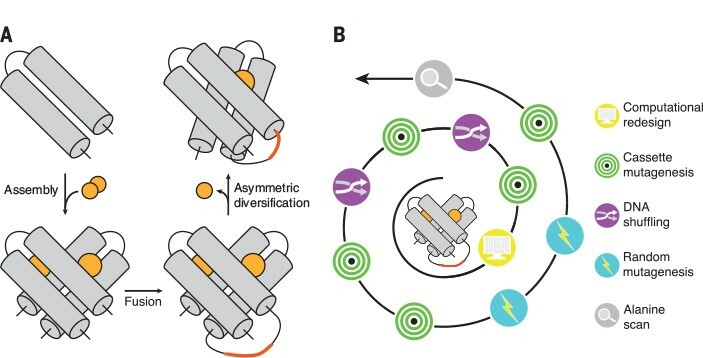 Enzymes generally require complex folding in their structures to foster their catalytic activity. Peptides are generally too short for this folding to occur. Recent research into the structure of metalloenzymes – enzymes that employ metal ions in their structures – suggest that metal ions may have helped induce folding in precursor peptides. Metalloenzymes are ubiquitous in nature and play fundamental roles in cellular biology and chemistry. 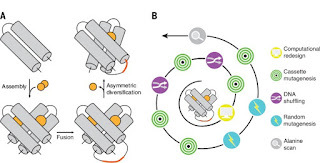 Sabine Studer from the Dana-Farber Cancer Institute, Boston and her colleagues have attempted to more fully understand the processes through which enzymes have evolved. They have done so by devising techniques for facilitating the transformation of a peptide capable of binding zinc into a functional enzyme with a complex globular structure. Cassette Mutagenesis – An in-vitro technique for altering genetic structure i.e. mutations. Alanine scan – Alanine is one of the amino acids that plays a critical role in protein structure. Note: that the majority of the techniques employed involve manipulating the genetic information.